However, just because it’s been mild doesn’t mean we’re whipping out the grill and sitting on the patio. 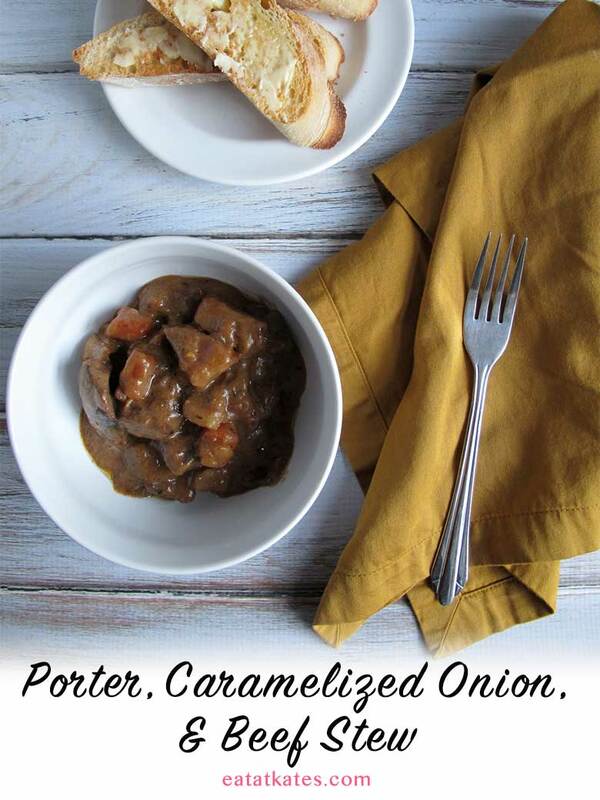 For some reason, even when it’s mild, you still need to work through the winter meal rotation and this one… Yeah, this one needs to be added to the rotation. 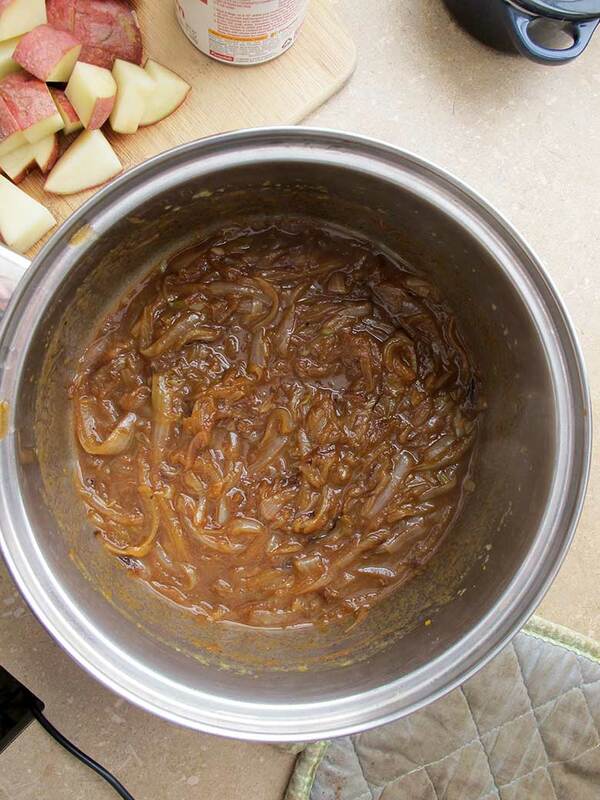 Especially because it involves beer and caramelized onions. Which, I’ll be honest, I’d pretty much eat on their own. And why, exactly, do you need this stew? Because I guarantee winter isn’t done with you yet, so you need to arm yourself with a warm, comforting meal! This stew is one of those low and slow, pop it in the oven for a few hours while you nap and the kids throw Legos everywhere kinda deals. Well, after you’ve done the prep, which there is a bit of, but I promise it is totally worth it. It starts with butter, olive oil, and a mass of sliced onions. You star the onions over medium-high heat to get them cooking down. After a bit you turn the heat down and let them sit, stirring every 8-10 minutes, to keep the caramelization going. 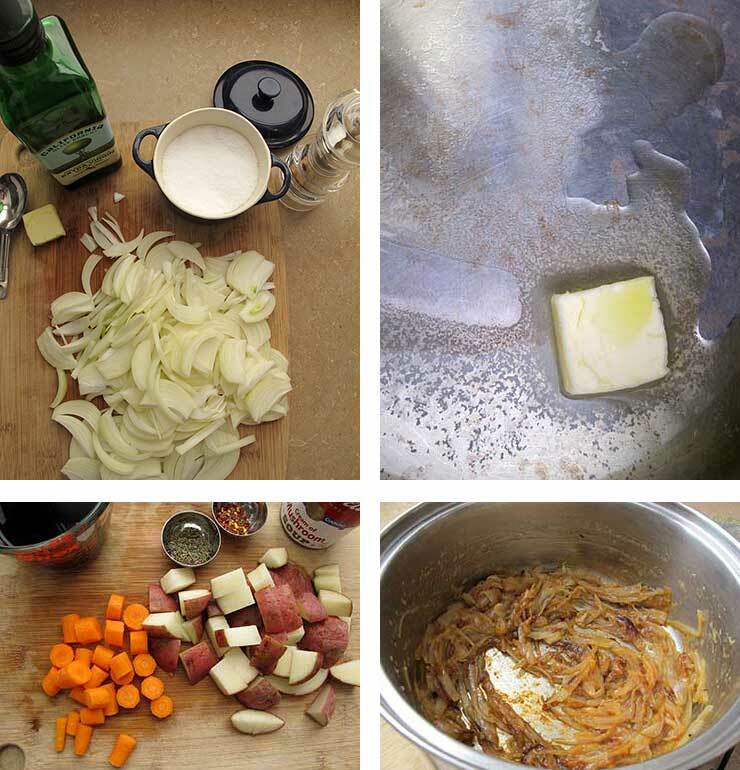 Once you have delicious, sweet caramelized onions, you’re going to deglaze with a bit of dark beer to get all of that gorgeousness off the bottom of the pan. Porter is my preference here [I’ve been using Founder’s Porter] but this recipe works with any rich, dark beer. After deglazing the pan, you add the remaining ingredients, give it all a good stir and pour into a prepared casserole dish. Cover tightly, put it in the oven, pour yourself a beer, and let dinner simmer away for a few hours. When the meat is fork-tender, somewhere between 2-1/2 to 3 hours, you’re ready to eat!